Here at cSPACE King Edward, our entire creative community has been anxiously awaiting the opening of an on-site coffee shop and the wait is almost over! 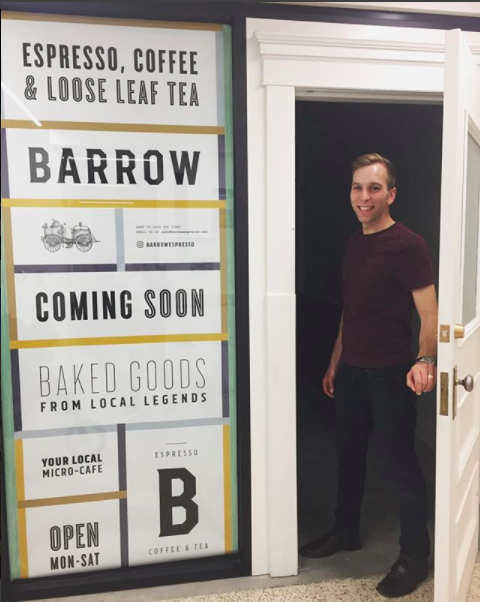 Barrow Espresso will soon be opening on the first level of cSPACE King Edward, bringing even more ‘creative fuel’ to the cSPACE and Marda Loop community. And the story of how Barrow Espresso came to be is an amazing account of entrepreneurial grit, grounds and growth. 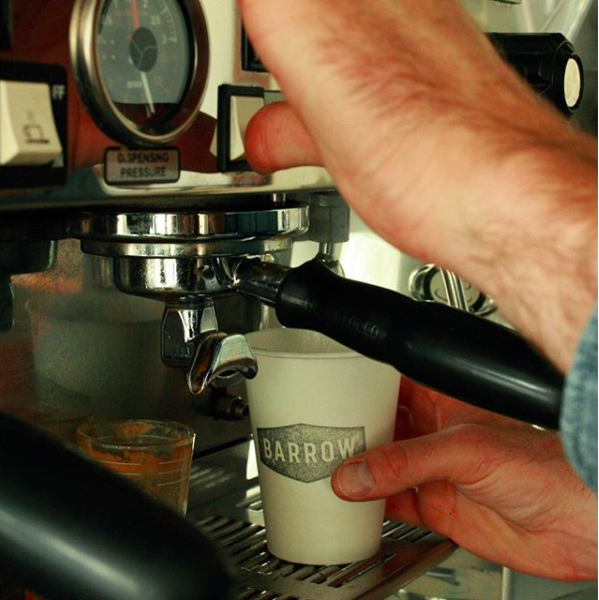 Simply put… Ryan Wegner and Barrow Espresso, aren’t your average cup of joe. A heavy-duty mechanic by trade, Barrow Espresso Founder Ryan Wenger also spent many years as a barista and had long dreamed of owning and operating his own coffee shop. But it wasn’t until he was enrolled in the Bisset School of Business at Mount Royal that those dreams starting looking like a reality. But don’t get it twisted… his journey was much more than ‘the right place, at the right time’. Ryan bootstrapped his biz from the ground up, scouring restaurant auctions for high-end gadgets, grinders and gear for his java journey. It wasn’t long before a collection of supplies built up within the basement of Wegner’s home stacked with coffee grinders, brewers, and utensils. While luckily Wegner landed some parts that came in working order, others key pieces of equipment were in need of some TLC and custom made replacement parts from Italy! Good thing Ryan’s mechanics background set him up with skills to get his gear in tip top condition! “There is a lot involved” Wegner says, “Its like fixing a classic car”. 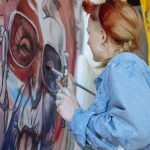 “You strip it down to the frame and build it right back up again so that it runs perfectly” Ryan told Mount Royal journalist Bryan Weismiller in December 2016. Once the gear was ready, the pieces started falling into place as Ryan happened upon dusty abandoned coffee cart tucked away in a corner of the Bissett School of Business at Mount Royal University which would become the first home of Barrow Espresso & Tea. 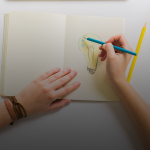 As any entrepreneur knows, opportunities don’t always just present themselves – sometimes you’ve got to make those opportunities for yourself. Following his intuition, Wegner reached out to the department of business and retail service at MRU to pitch his coffee stand idea. The timing was perfect as they were already on the hunt for a new coffee emporium in the Bissett School of Business. It was in September 2016, Barrow Espresso and Tea officially opened in the small niche of the business building. With the early success of Barrow, Wegner hired two students from the university to help him out. From managing employees, to forecasting to inform supply orders and honing business communication skills Ryan was discovering the full range of his Business Education by practicing it in reality, right there on campus. “When I was scoping out the space, nobody sat over here” Ryan told Weismiller “now you can’t find a table to sit at. It’s always hopping. People like to be around this energy”. And since those humble beginnings in a corner of the business school, the trajectory of growth has been up, up and away! By Spring 2018, Barrow Espresso will have moved into a new more permanent location in the Riddell Library at MRU. But before that, Barrow Espresso will be joining the ranks of the cSPACE King Edward community with the opening of their first floor café space. We can’t wait to welcome Ryan and the Barrow team to cSPACE King Edward! Stay tuned to our social channels for the official opening date.